A novelist’s account of how she broke away from Orthodox Judaism to make a new life in the secular world. Mirvis (Visible City, 2014, etc.) grew up in an observant Jewish family that believed “without God there is no meaning. Without the Torah, there is no goodness.” Though outwardly obedient to the tenants of her faith, she privately questioned the truth of what she was taught. After graduating from high school, the author went to Israel. For one year, she immersed herself in the study of Jewish religious texts and prayed to be forgiven for her willful ways. “I used to be a little bad,” she writes, “but now I was becoming entirely good.” When Mirvis began attending Columbia University, she “made few friends who weren’t Orthodox.” By the end of her senior year, she had married a fellow Orthodox Jew who had none of the dramatic “hard edges” other crushes had possessed in abundance. Fearful of her own rogue impulses, Mirvis strove to be a model Orthodox Jewish wife. She kept Shabbat and a kosher home, and she covered her hair and body according to traditional rules that governed married women. But the inner voice that had caused her to question her faith as a young girl and the self that could not fully reconcile her feminism with Orthodox teachings would not be silenced. Her first “rebellions” consisted of wearing pants and uncovering her hair. They became more pronounced when she began telling stories about Orthodox characters that “wrestled, doubted, and strayed.” Realizing she needed freedom to express a truth that had been trapped within her, she began the difficult journey that led her out of her marriage and away from Orthodox Judaism. The author’s sensitive thematic treatment of belonging and individuality and her candor about the terror she experienced leaving the only community she had ever known makes for moving, inspiring reading. 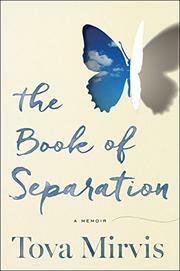 A thoughtful, courageous memoir of family, religion, and self-discovery.